Game of Thrones Season 7 kicks off in two days with the premiere, “Dragonstone”, but are you ready for it? If our own Memory Lane recaps aren’t enough for you, HBO has just released an official series trailer — that is, one for the entire show, from season one to season six, focusing mostly on characters and storylines that survive to season seven. Fans make plenty of amazing recap trailers like this; just do a quick search on Youtube! However, HBO recaps are rarely this well-produced or epic in scope — they are usually constructed as a typical “Previously on…” feature, more than anything else. That is not the case with this trailer, which is a work of art in and of itself, as all great trailers are. It’s a worthwhile watch, especially if you are into writing — the video essay delves into how the Battle of the Bastards sequence transitions from opposing emotions and uses the audience’s knowledge of how stories are told against them, both to great effect. Okay this was beyond epic and someone must have read George’s original outline lol. 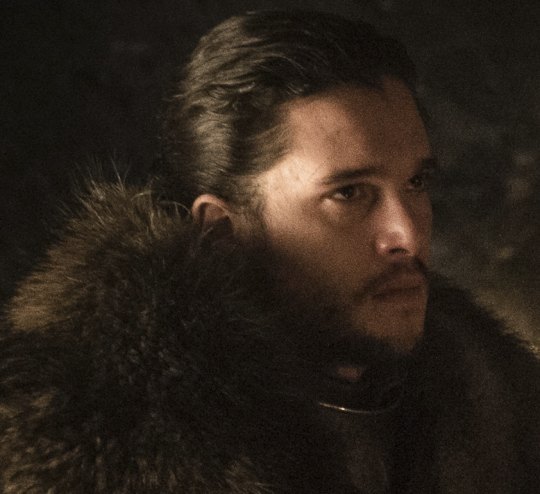 As we arrive at the endgame, the diversions that started late in the game and have already come to an end (Stannis, Slaver’s Bay, etc) become superfluous in a five-minute series recap. That’s why the trailer feels more like what Martin had in mind when it was just a trilogy; no branching or dead-end paths. Also I love Lessons from the Screenplay. His Gone Girl script analysis was amazing! LF next to Jon as he visits Ned’s crypt….ugh!! Jon’s expression is precious though. Yes I get that.Also this is really what you need to know going into season 7. If he cries I’m gonna die. Sansa was the only Stark still alive not actually featured in this? This trailer really encapsulates why Game of Thrones is such a special series. It’s literally a 60+ hour film. It will forever impact how premium shows are produced. Even CNN is getting caught up in the hype, comparing GoT with various sporting events. I don’t know if someone else has already linked it but I enjoyed it! Will the S7 premeire set a new record rating for the series? The S6 finale almost hit 9 million. I also found that odd? To me the trailer seems to indicate/confirm that neither Cersei, Jaime, nor Sansa make it out of the series alive as none of them were prominently featured. But who knows. I’m not sure, since it’s summer. Thank you for posting the break down of a scene. Such a wonderful and informative video!! So, like most good “previously ons,” does this tell us of what is to come? Does a good queen know when to destroy her enemies, everyone who isn’t she and Jaime? Does Arya prepare to use more of her Faceless training? Does Dany prepare to break the wheel while Jon prepares for the real war? Does Tyrion still feel like the baby monster turned powerful politician? Hard to say. TV viewership is generally down in the summer. And HBO is available on more streaming services now like DirecTVnow and Hulu so wouldn’t be a surprise if their cable TV viewers went down. But I’m sure HBO will provide the total viewers including the streaming services. The show is more popular than ever so the total viewers could still surpass last season. This will most likely be the last chance I’ll have to post anything here before seeing “Dragonstone” this Sunday. So, I just want to say thank you to all the mods, everyone who wrote these incredible articles that kept us entertained throughout the long night, and to all of the fellow posters here whose insightful commentary keep me coming back. I hope everyone enjoys episode 61. I look forward to everyone’s comments and opinions next week. Be safe and good luck in the wars to come! Thank you!! Hope you enjoy the episode! Winter is here! Anyone going to mention the Time Magazine coverage of GoT? Did not get much out of it. I did learn that Miles Aldrige is not Annie Leibovitz. By about a light year. There were articles about it here when Time posted some of the photos and interviews on their website. That trailer gave me goosebumps! Cannot wait for Sunday, even if it means staying up to watch at 2am! Wasn’t Carice supposed to be on Kimmel last night? “Lessons from a Screenplay” was very interesting though I did laugh once or twice at some of the hypothetical emotions the narrator is attributing to the audience (because clearly we are a monolithic entity who all have the same reactions!). I’d like to know how many truly thought Jon is dying again in BotB, especially given the Sansa/Vale set up situation?!?! I did think Jon might have a chance to reach His brother though and save him, once Ramsay shot his arrow and missed the third time. I mean, seriously…”Rickon got killed in the fourth try” is just ridiculous and a pure genius script move! Thank you for including that vid in the post. I noticed that too. Very surprising since she’s been fairly prominent lately. This was good.Indira lol she can’t even remember Dany’s name. I did.I couldn’t stop laughing.Conleth was so bad haha.Isaac loves the tinfoil theories. I remember how happy I was that Sophie’s family adopted Zuni. Love that! Jessica was in character, complete with the accent! Well, he was right! It’s not Bran, or Ned! Hilarious. I like how Jerome Flynn confirms that happens haha . Poor Dany! Recap is fine but I planned to re-watch the real Battle of the Bastards episode this weekend, before the premiere, only to discover it is available on HBO ONDEMAND FOR $$ !!! As a subscriber, I feel robbed! Could be it is Verizon doing this. A conspiracy of the two? Not sure but not cool. Boo. So they’re confirming it now? Tyrion really has those feelings for Dany? The “Lessons from the Screenplay” video is not produced by or affiliated with HBO in any way. So, no, of course not. I watched the season trailer On Demand nearly a week ago. The editing is so good. Also Liam’s increasing choice of weapons in his ‘if I ever meet Mel again’ scenarios is pretty funny. 😄 I like it when Liam and Carice interview together, it’s in a similar vein to Gwen/Nicolaj. Oh sorry. I thought It was an HBO video. Recap is fine but Iplanned tore-watch the real Battle of the Bastards episode this weekend, before the premiere, only to discover it is available on HBO ONDEMAND FOR $$ !! !As a subscriber, I feel robbed! Could be it is Verizon doing this. A conspiracy of the two?Not sure but not cool.Boo. What are you a subscriber to? HBO Go? HBO Now? If so you should be able to watch episodes at any time at no extra charge on either of those. But if for some reason you can’t, don’t worry because HBO is re-playing season 6 on Sunday. Episodes 9 and 10 will air on the main HBO channel right before the premier of season 7. As a subscriber, it should be free for you! I just watched the first 6 episodes of Season 6 today On Demand, for free. As are previous seasons. My HBO is through Comcast. In any case, HBO will air Season 6 episodes on Sunday afternoon. I have Frontier (formerly Verizon) and all 6 seasons are available in HD for free. I just checked and that includes 609 and 610. The Screenplay video is very well done. I haven’t yet seen the trailer – that’s for watching this evening. Then Sky here in Britain is showing season 6 over the weekend, culminating tomorrow night before a re-screening of the Sue Perkins ‘war room’ and then 7.1 at two in the morning. Checked this morning and the $ has been removed from select GOT OnDemand episodes. Whew! Maybe it was mistake or maybe a sign of things to come. Either way, I’m recording all episodes of the new season 7! That HBO GoT recap from S1 to S6 was great. I loved it… the scenes they chose were brilliant and pretty much summed up the series so far. This is so good, especially for people who easily forget things from the previous season and when they start watching the new one going what’s happening? Wow, I’ve finally (almost caught up with all the Watchers articles before the premiere), I’ve just listened to the Game of Owns podcast looking forward to the new season and now this! It’s an excellent hype building trailer in my eyes and I’m super pumped and even tempted to wake up at 2am and watch the episode live now! Ps. another article where I didn’t receive any email notification, just flagging to the admins in case this is a general problem.